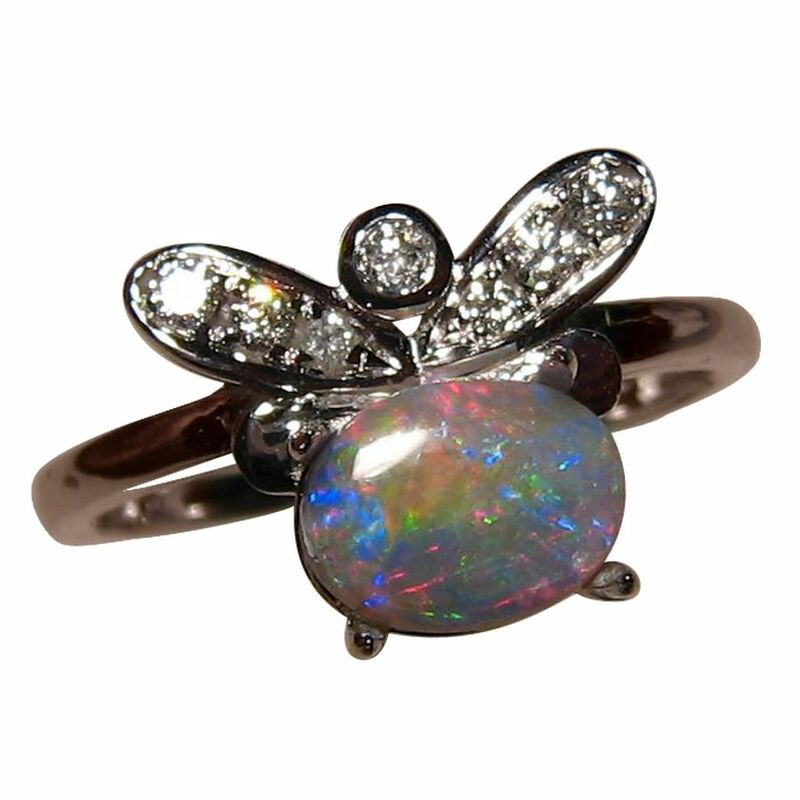 An Opal ring with an oval Semi Black Opal set east to west and accented with Diamonds in 14k Gold. In stock and ready to ship. 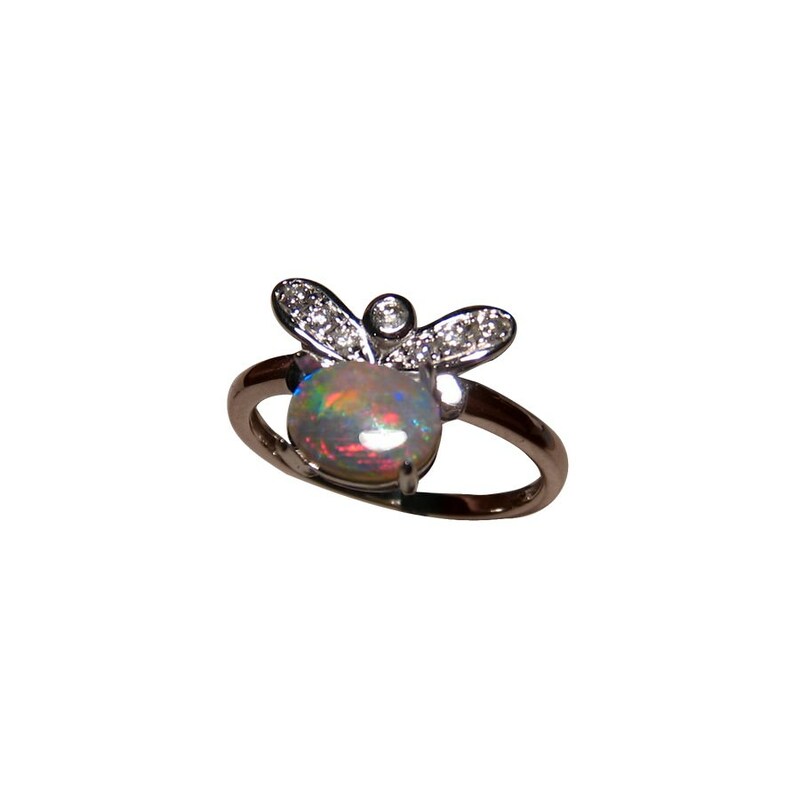 This Opal ring is prong set with an oval Lightning Ridge Semi Black Opal that flashes a beautiful mix of colors including the uncommon Lavender. 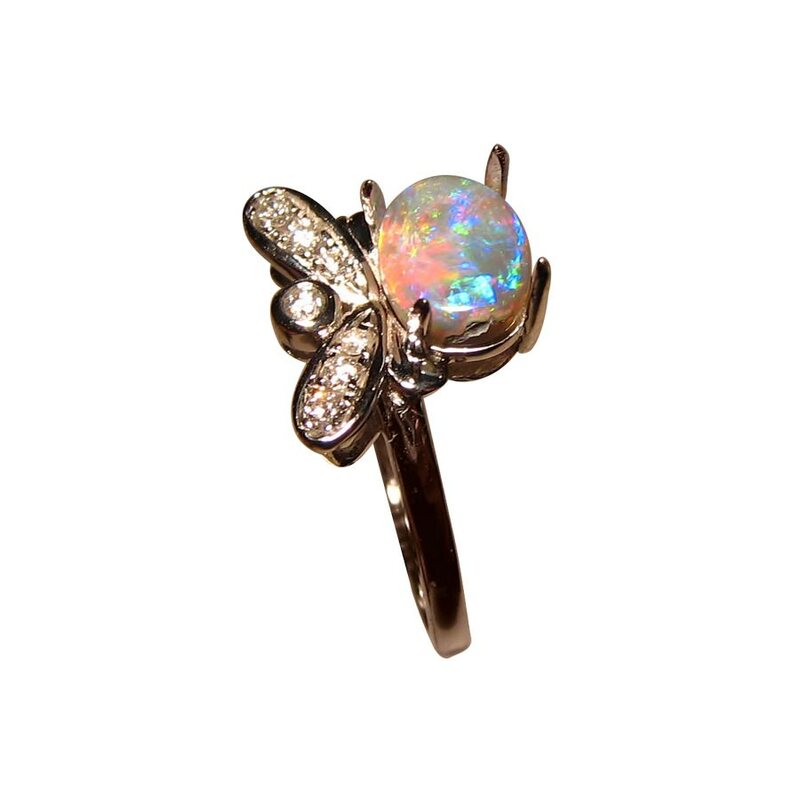 The ring is accented on one side only with small bright white Diamonds while the other side the Opal is set east to west. 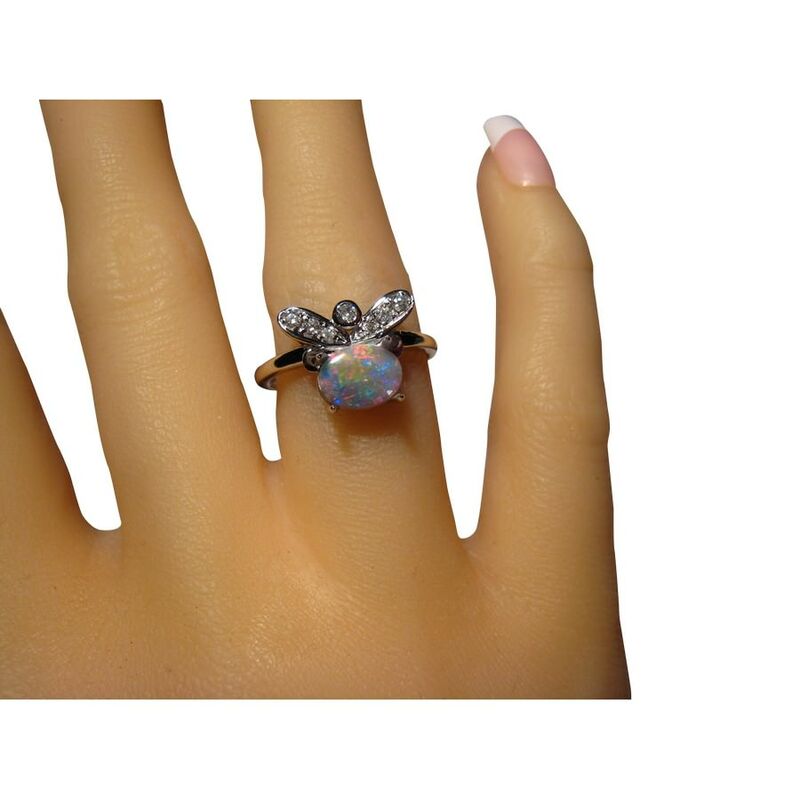 The ring is shown in 14k White Gold however as the Opal is not yet secured, it can be set in Rose or Yellow Gold and in any ring size which will take about 2 weeks to make before this exact Opal is secured.